So you’ve graduated from your carefree 20s into your responsible 30s. While you’ve matured over the last decade and gained some valuable experiences, you’ve still got chances to take and mistakes to make—some of them more costly than others. You’re likely thinking about your relationships, your career, buying a home, or even starting a family. It’s an exciting time, but it’s also a critical time for money management. A new decade brings new challenges, so we’re here to spell out some of the financial oversights that can keep you down for the count. Here are 10 of the top mistakes people make in their 30s and how to avoid them. It seems like it’s 100 years away. You’ve started to climb the corporate ladder or have just taken the first step towards making your first million. The secret to saving for retirement is recurring contributions and compounding—small deposits that will grow over a long period of time. Be sure you take advantage of your company’s retirement plan and maximize the company match, or open a traditional or Roth IRA and commit to regular investments. Consider this: If you invest $1,000 at the age of 30, make monthly deposits of $100, and earn 7% interest over the next 35 years, you’d have more than $192,000 when you reach age 65. Amazing, right? Your retirement account, however, is not the only place you should invest your money. It’s important to diversify your savings. In your 30s there are sure to be some big ticket items, like paying for a wedding or buying a home or a new car. Open a savings account or a brokerage account and think about your long-term and short-term financial needs. Diversify your assets among, stocks, bonds, mutual funds, and cash to reduce your risk and be strategic with your liquidity. Your 30s are the prime time for promotions. You’re earning more and likely spending more, too. You can afford nicer things, but sometimes this can be a slippery slope. “Keeping up with the Jones” is a real thing, and once you get caught up in that world, it’s difficult to get out. Using a credit card is an easy solution, and it can help when money is a little tight, or you need to make online purchases. When you can’t pay it off at the end of the month, however, you need to reevaluate your budget and your spending. Debt is a useful tool that can help establish your credit, but when you’re paying astronomical interest on your purchases month after month, you’re creating a burden that can wreak havoc on your finances. Now that you’re making more money, you might consider buying a home. Hopefully, you’ve saved some money for a down payment and have analyzed your monthly expenses to determine how much you can realistically spend. A mortgage is a long-term commitment. Sitting on the floor eating ramen noodles so you can “afford” the biggest house in the best neighborhood is no way to live. How can you save for your future if all of your financial efforts are spent on paying your mortgage every month? It’s not a purchase you can easily return, so shop smart. 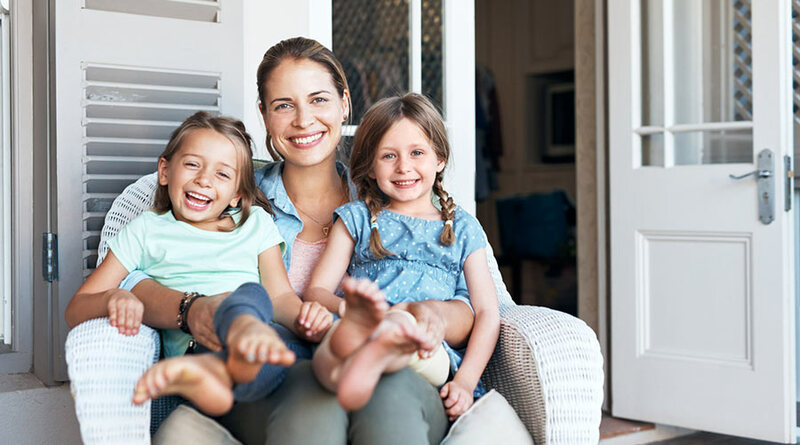 You’ll be happier in a home where you can live within your means. Insurance can feel like a waste of money, especially if you don’t have to use it. When you do, however, it pays off big time. No one wants to think about a health issue or a home disaster, but it happens. Generally, insurance in your 30s should include health, disability, life, home (or renter’s) and an umbrella policy. Insurance is largely personal, so talk with a trusted advisor to help determine your needs. Keep in mind, too, that the younger you are, the less you’ll pay for life insurance and the healthier you are, the less expensive your health coverage will cost. Buying insurance now can save you money in the long run. When you’re dating, finances are not a fun topic, and when you’re engaged, no one wants to ruin the excitement by talking about money. Financial differences between partners can be a serious issue if it’s discussed too late in the relationship. If you’re already walking down the aisle, it’s easy to say you’ll figure it out later, but it’s the number one reason couples argue and a path that can quickly lead to divorce. You may come from different financial backgrounds or have different ways of making financial decisions. While they don’t have to match perfectly, you should be able to come to a mutually agreeable system to manage your household finances. Once you merge your assets, it becomes a much more difficult conversation. Don’t bring it up on your first date, but start thinking about it before you’re head over heels. Everyone parent wants their child to have the best of everything, but too many times that translates to a house full of toys, clothes, accessories, and top-of-the line items. We get it. With all the excitement and lack of sleep, it’s hard to make smart financial decisions. But, if you don’t take the time to check your spending, you’re savings, and your sanity will be gone before you know it. Do you need the elaborate carriage-style stroller or the Gucci footie pajamas? Should you order the custom crib bumpers or buy those cute little Ugg booties? Think about the necessities, how long you’ll use them, and what your budget can handle. Your sweet little bundle of joy will be loved no matter how much you spend. Years ago, people used to keep their cars until they ran them into the ground. Now they buy a new one every two or three years. While you can rationalize it all you want it’s still a huge depreciating asset and making a purchase every few years leaves you with a never-ending car payment. Today’s experts recommend spacing your new cars 10 years apart. Buy a new one, pay it off in five years, and for the next five years, start saving for your next car’s down payment. If you take good care of it, you may even get a few bucks when you trade it in. Given the frequent turnover rate of cars these days, you might also consider a used car, or “pre-owned” if that makes you feel better. It’s already depreciated at someone else’s expense, and if you buy from a reputable dealer, you could save some serious cash. Before you head out for a test drive though, check Kelley Blue Book to get an idea of how much you should pay. You probably have 10+ years of work experience by now. If you’re not loving your job or there’s no opportunity for long-term growth opportunities, now is the time to switch gears. With your knowledge and experience, it’s the opportune time to update your resume and see what else is available. Chance are you’ll be more valuable to the competition and should be able to negotiate a higher salary and more responsibility. This is the time to position yourself for your peak earning years. With new job offers, strongly consider the company’s benefits, like health insurance, life insurance, a dental plan, and 401(k) plan. Do they offer telecommuting, a flexible schedule, or a car allowance? While your salary is important, your entire compensation package, which includes your benefits, should be the real measure. People lose their jobs, homes need expensive repairs, family members get sick. No one really expects those things to happen, but they do. You need to be financially prepared for emergencies. A few hundred dollars won’t cut it these days, so make sure you have a plan. Experts say that you should have at least 6 months worth of living expenses tucked away in a place where you won’t be tempted to dip into unnecessarily. All that you’ve worked for could easily be swept away during a crisis and recovering financially may not be easy. If you haven’t been saving for something like this, start now. It may be the most important things you do to protect you and your family. The time to get serious is in your 30s. You’re getting ready for a lot of life change, and you need to set yourself up well. Surround yourself with people you trust who can advise you and keep you accountable. Avoiding the pitfalls by keeping your finances in order and focused on the future because the here and now will be gone tomorrow. In the midst of a financial crunch, most people consider borrowing money from a family member to be a better option than a bank or credit union, a good friend, their 401(k) plan, or even a low- or no-interest credit card. While most people look to their family as the non-judgmental, do-anything-to-help, ideal solution to their financial dilemmas, there are pros and cons to entering into this arrangement for both the lender and the borrower. From the borrower’s perspective, the application process is simple—just ask. Other than explaining why it’s needed, there are typically no other requirements to meet, not even a credit check. Even better, family members are often generous enough to loan money for free. Most don’t charge any interest, or if they do, it’s much lower than the best rate a bank or credit union could offer. Family members are often eager to help, but if they’re lending money, they should understand their motivation behind their offer and the risks they assume in doing so. When a family member loans money to another family member, details need to be documented, and specific expectations must be set. Conversations around money are tough and sometimes extremely awkward. Think of this as the price you pay for borrowing money from a relative. Discussions should address the reason for the loan and whether or not the lender is expecting to be repaid. A repayment schedule should be agreed upon, including dates, amounts, and method of repayment, and steps that will be taken if the borrower defaults on the loan. The borrower should be able to provide the plan for repaying the loan and address the possibility of missed payments. Discussions should also define any rights that are granted to the lender until the loan is repaid in full, like approving large purchases or vacation plans, reviewing a monthly budget, or monitoring bank accounts. The more detail discussed before the loan is issued, the better chance of preserving the family relationship. Many family loans are successful, but, in order to avoid tensions, communication must be continuous, clear, and in writing. While some family members might consider this too formal, it’s for the protection of both parties. Any time you lend money, there’s a risk that the borrower will not be able to repay the loan. While you may have every confidence that the borrower will be true to their word, lenders should consider collateral to secure the loan. In the case of default, the sale of any named asset could help recover the outstanding balance. Speak with your attorney to discuss any additional risks that you should address in order to protect yourself. You can also ask your attorney to draft the written agreement that includes the agreed upon details of the loan and its repayment. In addition to ironing out the details of the loan, there are serious tax issues to consider. The transfer of large amounts of money can alert the IRS. Even without any wrongdoing, it could trigger an audit into your finances. There are also rules that address the minimum interest rates that can be charged on personal loans and a potential gift tax that can be assessed in some cases. There may be other tax implications that you hadn’t yet considered, so be sure to talk with your tax advisor before you set an interest rate, sign any documents, or transfer any funds. Being single has some real advantages, like the ability to sleep starfish style, the freedom to come and go as you please, and never having to worry about someone else hogging the remote. But, there’s also a lot less built-in accountability. When you’re working with a single income, your saving and spending habits not only need some guardrails, but they need a reality check once in a while. Singles in the city have more opportunity for dining out, shopping, and entertainment, which can easily translate into serious spending. 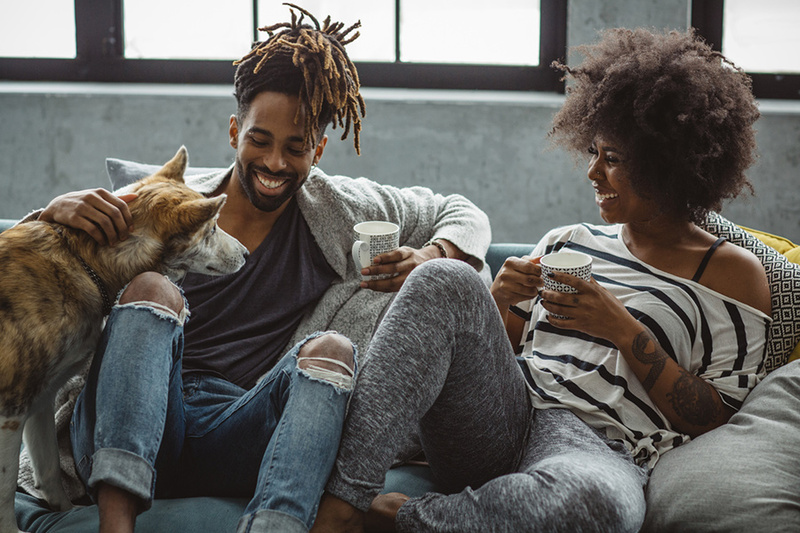 We’re not saying that you need to pay your rent, binge-watch Netflix, and eat ramen noodles until you win the lottery, but if you incorporate a few of these helpful tips, you’ll find that your finances and your future will be substantially less stressful and a lot more fun. A budget is the foundation for financial success. Whether you’re running a business or managing your weekly paycheck, you need to know where to allocate your resources. Monthly bills, retirement savings, your emergency fund, trendy wardrobe, and caramel latte addiction are all vying for financial attention. And those tickets to see Drake at Phillips Arena aren’t far behind. A budget will allow you to pay your monthly expenses on time, stash away some savings, and know exactly how much discretionary income you have to spend. It will inevitably make you decide if those Lululemon leggings are more important than running through the Starbucks’ drive-thru every morning or if your weekly visit to DSW is the best use of your lunch hour. Accountability is a big part of accomplishing almost anything. Everyone needs someone to gently counsel them and help them talk through important decisions, like buying big-ticket items. Find someone you trust who’s a little older and wiser, and can speak from experience. Allow them to keep you accountable and know that even when it’s uncomfortable, you’ll be better for it in the end. Create your monthly budget, meet for coffee, and then talk through your financial plan for the month. Give them permission to ask the tough questions and allow yourself to answer them honestly. Listen to their feedback and recommendations. They’ll inevitably help you avoid their past mistakes and help you work toward financial success. Ever find yourself mindlessly surfing online retailers like Amazon, H&M, or Nordstom Rack? You don’t need another pair of skinny jeans, but there they are, and they’re on sale! Boom—there’s a quick $60 you’ll never see again. If you thought about it for more than a few minutes, you probably would have passed. Ever add another item to your cart so you can qualify for free shipping? Sure, spend another $35 on a shirt you’ll probably never wear just to avoid the $7.99 shipping cost. It makes you feel like a savvy shopper when really, you just got duped into spending more than you intended. Why can’t you leave Target without spending $100 every time you walk through the door? We feel your pain. Work from a list, shop with intention and avoid surfing the web to pass the time. When you live in a busy city, there’s always something to do. Fun doesn’t have to cost you anything, especially in Atlanta. Every Wednesday night, Centennial Olympic Park has Wednesday Wind Down and free music. Visit the National Archives and trace your family tree. Run, walk, or bike through Piedmont Park or visit the Atlanta Farmer’s Market. Make plans for the Grant Park Summer Shade Festival or take in a Singles Event at Buckhead Church. If you want to pack a lunch and head OTP, you can hike the Indian Seats Trail, visit Toccoa Falls, shoot the Hooch, or relax on Lake Altoona. Avalon in Alpharetta hosts a live band on the lawn every Friday night in the summer, and their Athleta store offers free yoga classes. Grab a friend and go! Some things you don’t even have to leave home to enjoy. Invite some friends over to watch your favorite TV show or host a game night. The possibilities are endless. Consignment shops and vintage clothing are all the rage. If you haven’t ventured in, you’re missing some great bargains. Not all the items will match your style, but you can snap up some gently used, designer clothing, purses, and accessories at affordable prices. You’d be surprised at how many people want to offload last season’s styles. It’s always an adventure. You never know what you’ll find, and the thrill of the hunt is part of the fun. Here’s an extra bonus: If you’re a fashionista and have items that no longer fit or flatter you, consider a consignment shop as a way to purge your closet and make a few extra dollars. These are just a handful of ideas that can help you stick to your budget without feeling the pinch. Atlanta is never short on entertainment, so do some research, find some things you’ll enjoy, and consider some new experiences. C’mon, it’ll be fun! Educating your child about money and financial responsibility is a big job—and an overwhelming one at that. The lessons they learn early in life will teach them the value of a hard-earned dollar and serve as the foundation for their future spending and savings habits. No pressure there, right? Gone are the days of the pink ceramic piggy bank with the curly tail. We’re going high-tech here. Purchase an automatic coin-counting bank so your child can keep track of how much money they’re saving and spending. It’ll help with addition and subtraction skills, and they’ll love the pride and satisfaction they feel when they can actually see their progress. Next time they have a few dollars or some extra change, they just might decide to choose saving over spending. Have your child grab a calculator (or your smartphone) and head to the grocery store together. Before you leave the house, though, set a budget for your shopping trip. As you walk up and down the grocery aisles together and put items in your cart, ask your child to add the cost of each item to your running total, being mindful of your budget. Compare brands and pricing and explain the benefit of buying items on sale. Let your child see you add their favorite snack to the shopping list if you’re spending less than expected or put an item back on the shelf if you’re getting close to your max budget. Think out loud so they understand your thought process and then eventually ask them to help make similar decisions. Did you bring your coupons? Ask your child to match them with the appropriate items and then add up all the money you saved. What was the goal and was it more or less than last week? One of our favorites is “What’s in your wallet?” Grab a coin purse and a handful of coins. Next, write the clues to different coin combinations on some index cards. For example, I have three coins that equal 40 cents. Which coins are they? Take turns writing the clues and guessing the answers. It’s super easy and can be a spur-of-the-moment activity while waiting in the carpool line, at a restaurant, or in the doctor’s office. Schedule an afternoon outing to your local bank or credit union. Kids are curious and we’re betting the drive-thru is far less interesting than what’s inside. Schedule a short tour and think about opening a savings account for your child when you’re done. Georgia’s Own’s Coindexter Club® is a great way to start learning about money and interest. An account for a child under the age of 13 can begin with an initial investment as low at $5.00 and will start earning interest at $5.01. Given the increasing amount of time kids spend online, games that focus on money and managing finances could make it less mindless, more educational, and just as much fun. Try Peter Pig’s Money Counter. It’s an interactive game from Visa that teaches counting skills and savings strategies to kids from ages 5-8. Money Metropolis is a game that lets 7-12-year-old kids manage their own virtual bank account, and the Mt. Everest Money Simulation game lets 8-13-year-olds plan an awesome adventure on a budget. For your sport-loving kids who are ages 11 and up, check out Visa’s World Cup-themed soccer game and the Financial Football game, both of which focus on money management. Do you have a child that loves to vacuum or fold the bath towels? Do they watch you mow the lawn or water the plants? Get them involved in age-appropriate chores and give them an allowance so they understand how money is earned. They’ll think it’s fun and you might get a little help around the house. We know you don’t always get to do the things you enjoy when you’re earning a salary, so toss in a not-so-favorite chore every now and again as they get older. While not as much fun, it’s a good reality check! Are there other chores that need to be done in the house? Make a list of things that need doing and assign a payment amount to each one. If your child is saving for something special or wants a side hustle to supplement their allowance, they can choose an additional chore and get paid for completing it. Is your child a crafter or an artist? Can they make lemonade or bake brownies? There are tons of opportunities to sell things in the neighborhood, supervised, of course. Try setting up shop at the home swim meets, during the neighborhood garage sale, or at the Holiday Craft Show. Discuss the cost of the ingredients and supplies, the price of the items, and how to calculate a profit. If you have an older child, help them design a colorful flyer to drum up some dog sitting, lawn mowing, or mother’s helper opportunities. Board games are fun activities you can enjoy with the whole family while secretly teaching them about money. Buy some property and build some hotels in Monopoly Jr., go to college and choose a career in The Game of Life, and get to the next month without blowing your entire paycheck in Pay Day. Each one requires wise financial decisions and includes a surprise monkey wrench or two along the way! 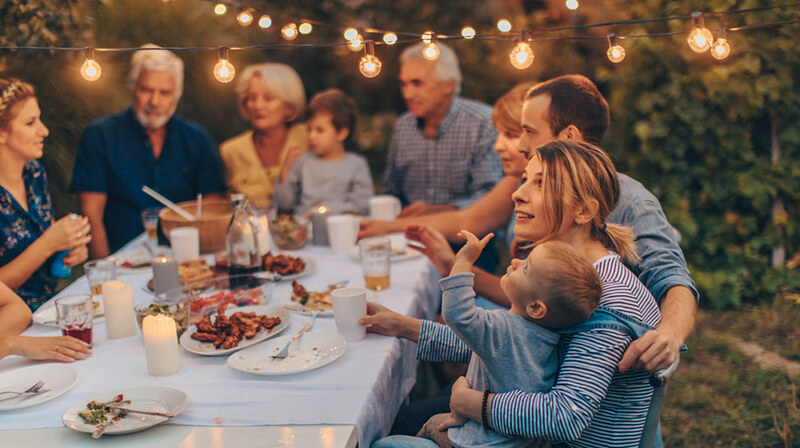 Eating out is expensive for a family, but for special occasions, or when mom or dad has had a long day, it’s always a treat. Designate a wall, board, or even the side of your refrigerator for restaurant coupons. Buy one entrée get the second free, a complimentary appetizer or dessert, or 15% off your total bill goes a long way. Keeping a list of “kids eat free” nights is a great idea, too. If you’re headed out for dinner, ask your child to choose a restaurant from the board and talk about how much you can save with your coupon. As your child gets older, you can even start teaching them about calculating the tip! Have a gamer? There’s a huge market for pre-owned video games. Talk to your child about buying certain items new or used and the savings opportunity it can offer. If you’re making the purchase, you might even consider giving your child the amount you saved a time or two as a way to emphasize the impact. Discuss selling items, like old video games, toys, and electronics as a way to make some extra money and clear out that clutter. Explain to your child that when they sell items that they no longer use, the funds could be reinvested into something else they’ve been swooning over —or they can save it in that nifty coin-counting bank! As the adult, you’ll want to list the items for sale on the resale sites, but have the kids help take pictures, make up descriptions, and set prices. In the spring and summer, there are garage sales every weekend. Give your child a specific dollar amount and let them know they can buy whatever they’d like, but they have to stay within budget. They’ll learn to consider each potential purchase and decide whether it’s worthy enough to spend their cash. They might even decide to save it. As they get older, teach them how to politely negotiate with sellers. After all, haggling is all part of yard sale fun! For older kids, head to a consignment or thrift shop to find some fantastic deals and incredible prices. Talk about evaluating the condition of the item, quality, and price. They’ll be quick to understand that one man’s discards are another man’s treasure! Teach your children to be generous. While healthy spending and saving are important, the value of generosity trumps them both. Whether it’s with money, time, or talent, it’s important to give back to the community. You can volunteer together to pack lunches for the homeless, visit a nursing home, or fold clothes at a thrift shop. Whether they bake chocolate chip cookies for a mom with the flu or make an effort to play with the new kid in the neighborhood, cultivating their generous nature will always ensure they have a rich heart! The April 17th tax deadline has come and gone, which leads us to the much happier half of the season – TAX REFUNDS! If you were an early-bird filer, you probably already have your tax refund in hand, while the procrastinators will have to wait a little while longer. Either way, you’ll need to come up with a solid plan for that chunk of change. The average 2017 tax refund in Georgia is expected to be $2,793, slightly lower than the national average of $2,895. Regardless, that’s a hefty sum, especially when you receive it in one big fat check. You may think of it as new-found money, but you need to remember that you worked hard in 2017 and your refund is not just some random windfall. Will you spend it, save it, or invest it? Consider your current financial situation and your priorities. What decisions can you make now that might positively impact your financial future? Here are six smart moves to think about. 1. Transfer it. One of the best recommendations we can offer is to immediately move your refund from your checking account to your savings account. This seemingly insignificant move could be the smartest step in the entire process. Why? Because it’s easy to spend $20 here and $50 there, and when it’s all whittled away, you’ll have nothing of real value to show for it. What to do next is up to you. 2. Catch up on your savings. B-O-R-I-N-G, we know, but excitement isn’t always the goal. Do you have an emergency fund that needs a little boost? Have you fallen a little behind on your child’s college fund? Need to replenish your personal savings? Paying bills and saving for the future is essentially a requirement when you’re adulting. 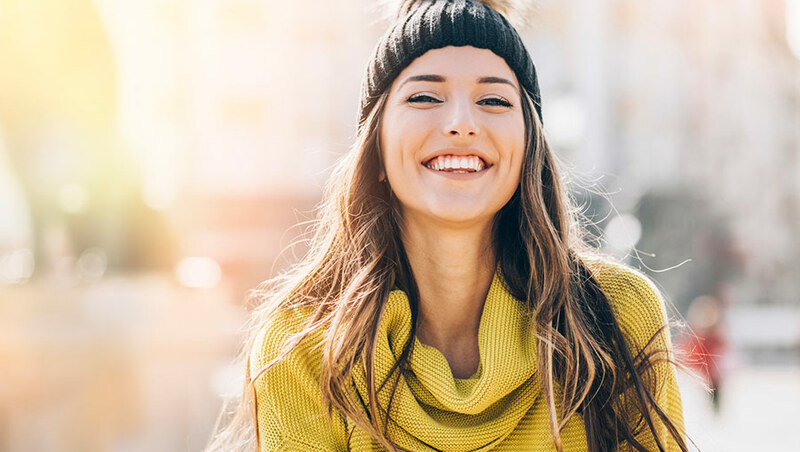 Plus, having some cash stashed away for an unexpected expense would give you some financial peace of mind, and that’s incredibly valuable in today’s economy. 3. Invest in your future. With the help of a financial advisor, find an investment that will help you earn more money in the long-term. Consider an IRA, a 529 plan, or even a traditional brokerage account. Whichever option you choose, be sure to discuss your risk tolerance, time horizon, and ultimate goals before making a decision. 4. Pay off your high-interest debt. Revolving debt is one of the heaviest financial burdens you can carry. As interest compounds monthly and you rack up new charges, your existing balance climbs fast. Now is the time to knock down some debt and regain control over your finances. 5. Spend it on your home. After all, it is one of the biggest investments you’ll make in your lifetime. Shouldn’t you take care of it? 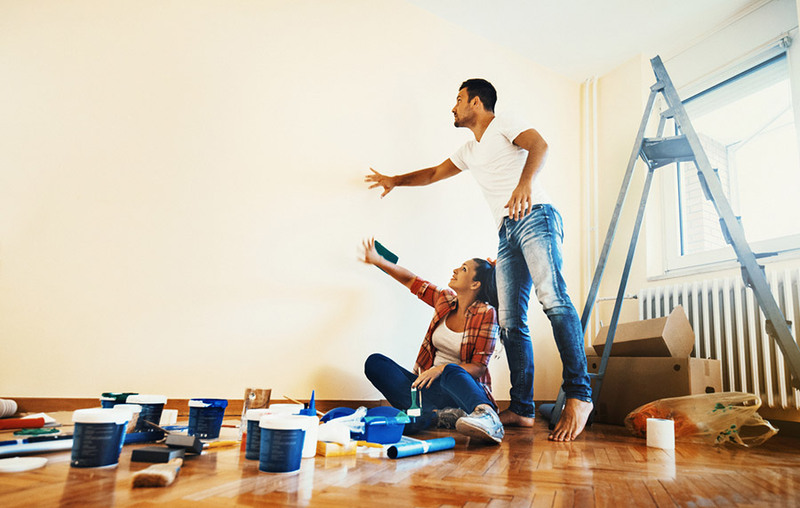 Consider some maintenance or improvements that will increase your home’s value, or double up on your mortgage payments so you can pay it off sooner and reduce your accumulating interest. 6. Have a little fun. You need to make a smart decision and use your refund wisely, but that doesn’t mean you can’t enjoy yourself, too. Go out to dinner, take in a Braves game, opt for some wireless earbuds or a trendy new pair of kicks. Just make sure it’s not too extra.